Unbelievable! This mod has reached 4 Million (!) downloads. As a thanks to everyone who downloaded this mod, I've finally released version 1.5.0! See below for all the goodies. 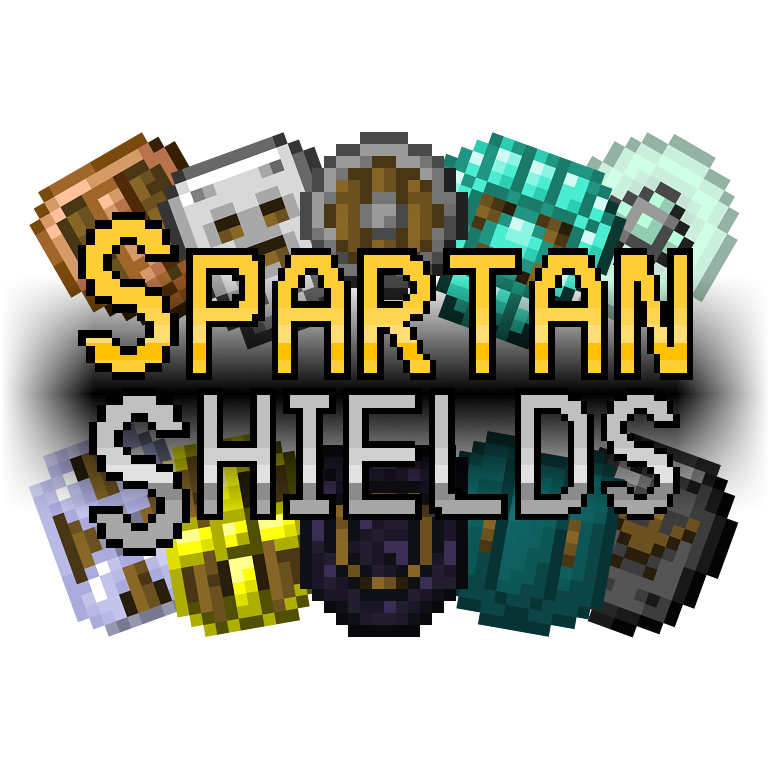 Spartan Shields 1.5.0 is out now for Minecraft version 1.12.2! A new Shield Bash mechanic! Tower Shields which can have banners applied to them! The Ender IO Dark Steel Riot Shield is back too! Compatibility fixes. Angel of Vengeance and Shield Parry should work with Spartan Shields now! Special thanks to Ghost8909 for providing the texture for the Soulforged Steel Plated Shield! 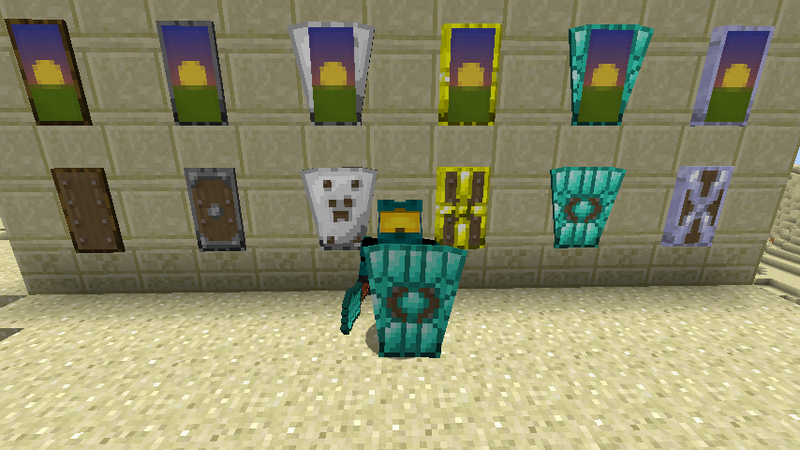 Spartan Shields is a mod for Minecraft that adds a variety of new shields to the game. Silver - Hurts undead that come in contact with it. Signalum - Inflicts Weakness when hit. Lumium - Inflicts Glowing when hit. Enderium - Inflicts Slowness when hit. Thaumium and Voidmetal from Thaumcraft. Voidmetal regenerates durability, which giving Warp to the player. Shields are also available in the Tower variety, which allow them to have Banners applied to them! Most shields can be enchanted with a variety of enchantments, including Unbreaking, Knockback and even a new enchantment known as Spikes, which acts like the Thorns enchantment for shields. Other modded enchants work as well, such as Soulbound from Ender IO. Any language translations anyone can do would be greatly appreciated! Leave a comment below if you can provide one. Permission granted! No need to ask. If you have a interesting modpack including this in it, let me know! I would love to see it. I would like to translate your mod into french. Where should I post my translations? Hi again, translation is done. You can find it in the issue tracker. Maybe it's a digression, but I want to say: Can you add a feature to cancel the slow-down-speed effect of shield blocking? I don't think moving speed will be slowed down when holding a shield. It should only be slowed down if an attack is actually blocked. Or more enchants that add a proper way to unslow movement, charge, etc. And seems the shield bush only work on this mod 's shields . is there possible that add this feature in other item or tool which can blocking ? Im new with this mod, can you tell me what mods are compatible with the shields, i know ember adds bronze silver and those, but some other mods that include the other ores? Basically any mod that contains the appropriate Ore Dictionary registered Ingot will work with this mod, though currently there are issues of misleading tooltips (which can be disabled in the config) which say that it is uncraftable when the material is from Embers. That issue has already been fixed for the next release. One mod which will add most of the materials is Thermal Foundation, of which there are shields specifically for that mod, such as Enderium, Lumium, etc. There is also compatibility with Ender IO, Botania, Redstone Arsenal, RFTools and Better with Mods. Is there ever gonna be a spartan armors? Really looking forward to the EnderIO Riot Shield. Is there a way I can enable it manually? I'm running 1.12.2 and 1.4.1 of the mod. I see references to json recipes, but can't find any json files related to this mod in my config folder. I am loving this mod so far! Just a quick question: I'm trying to lock the shields behind Reskillable to give some progression to it. What are the 7 core shields item ids? I looked through the Json and thought it found the format: spartanshields:shield_vanilla_wood, but that doesn't seem to be working. Most of the shields should have the registry names such as "spartanshields:shield_basic_wood" for the wood shield. Just replace "wood" with the appropriate material name e.g. "iron" for Iron shields. Certain shields which are specific to a mod are named like the following; "spartanshields:shield_abyssalcraft_ethaxium" for the Ethaxium Shield from Abyssalcraft. Botania shields also follow this naming convention. I take it you've looked at the names of the recipe *.json files since they are named as you've put them. If you need more of the names for these shields, you can open up the recipe files in a text editor and look at the result item name. Worked like a charm! Thanks alot! I must be doing something wrong when I open the .json files cuz they are all largely jibberish. I've tired with a ton of text editors as well as some online .json editors and they are all a jumbled mess. Shame too cuz I'd love to start to learn how to poke around in those files! since enderio got updated to 1.12, does the dark steel shield exist? does the mod need to be tweaked or its the same? The code for the shield still exists in the mod but the shield is never registered. I wasn't entirely sure what changes Ender IO was going through so I disabled it for that reason. In my development version for 1.5.0 of the mod, I have put it back in, with a few tweaks such as using an actual *.json recipe, and tooltip support for the µI power unit. The recipe will remain the same as before however. It will be in the next release version of the mod. That would be way too difficult!